16" X 16" finished. When the blocks are sewn together, they give a woven effect. Uses 5" x 5" charms and instructions also include amounts to cut if you are using your own scraps. Instructions are easy to read and easy enough for a beginner. 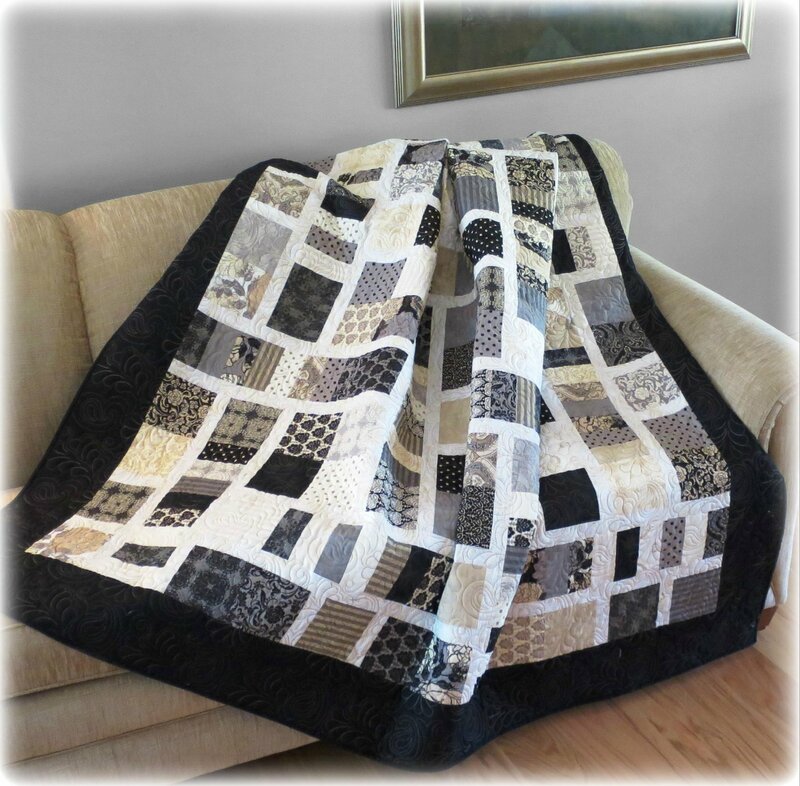 Great quilt for men, women or kids.